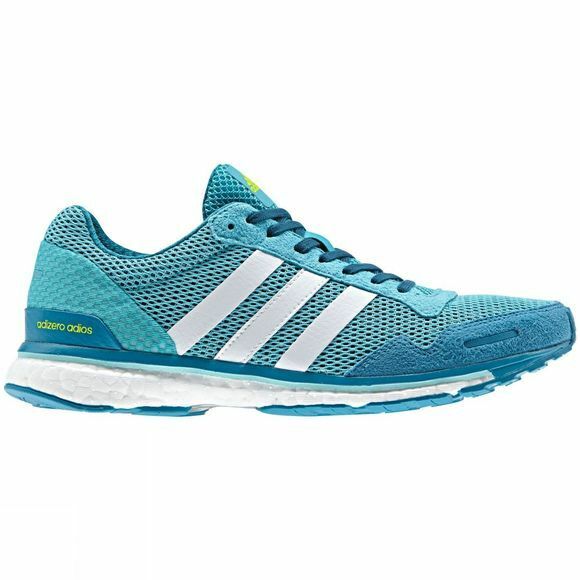 The Adidas Adizero Adios running shoe has been designed to perform on race day. 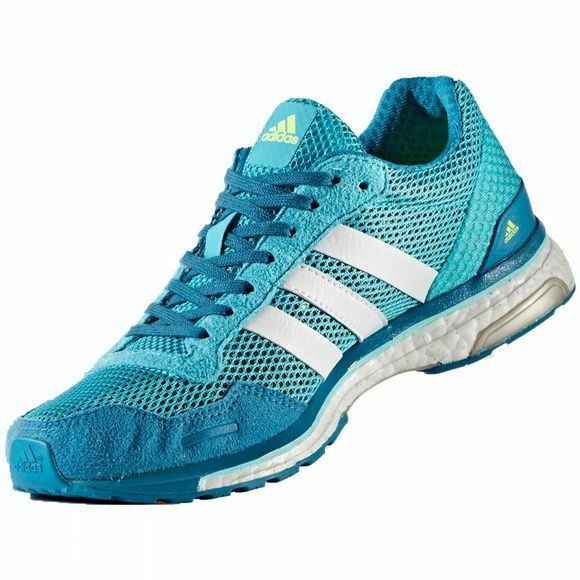 It has a full length TORSIN system, sprint web, plus light and fast construction, twinned with an energy returning Boost midsole that will give you back the power you put into each footfall. Coolever mesh offers maximum breathability when you need it the most, and an external heel counter gives a snug fit with support and stability. ADIWEAR outsole rubber, Omori Microfit welded logo and continental rubber outsole are additional features, along with continel rubber outsole and Quickstrike for decreased weight and flexibility.